Again, there are many places within the system to get to your stacking plans for a property, but lets start from your property page. 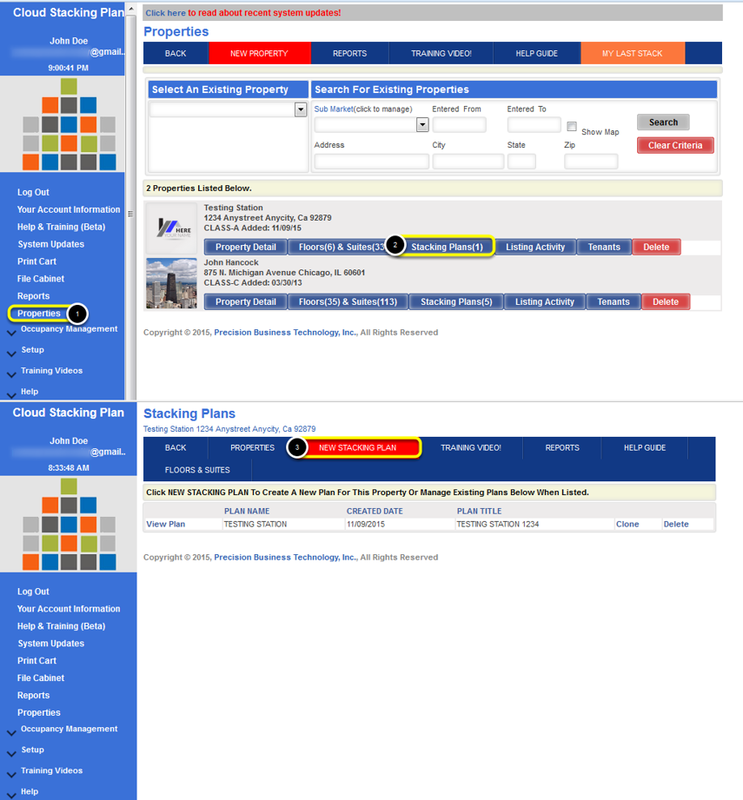 Go to your property page and from your list of properties, click Stacking Plans from the property your are working with. This will take you to a page that will enable you to link to existing stacking plans or create new ones. To create a new plan, go ahead and click New Stacking Plan. You will see that a new stacking plan is created and you will now need to provide a name for the stacking plan profile as well as other information such as Plan Title and Plan Notes, which you will be able to include on your plan. You also have the ability to upload a logo for your plan in the same manner you did both in property detail as well as with the floor plan option in suite detail. 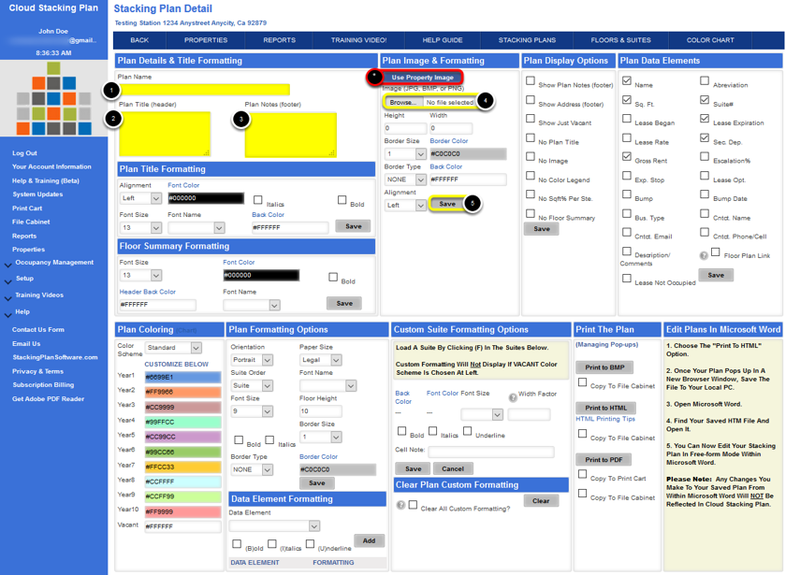 Select Stacking Plans for the property you are working on. * Instead of uploading a new image or Logo, you can simply click Use Property Image and the image you uploaded into the Property Detail for this property will be used.